Polished 18-karat yellow gold CableSpira® hardware. Round blue sapphires at single center station. 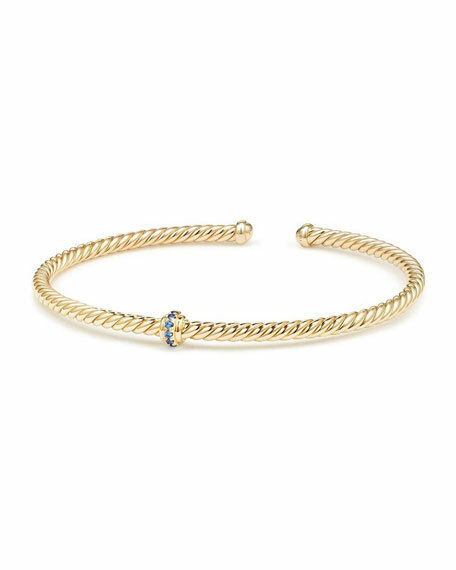 David Yurman cable bracelet with buckle. Polished sterling silver cable and hardware. Buckle closure with 18-karat yellow gold. Round-cut rhodolite garnet bezels. Approx. 9mm. Imported.